The only thing you cannot buy is health. We think of you and your children. How have we managed to produce such healthy furniture? And why do we constantly mention the health aspect of our furniture? Because we believe your health has much greater value than mere savings! And a healthy lifestyle is no longer just about food and exercise. Many producers do not care about health issues or the impact of harmful substances on human health, such as phthalates, heavy metals, and/or the aforementioned formaldehyde. They are satisfied when meeting a standard in any way possible. Meanwhile, specifically formaldehyde is unfortunately a concealed and/or downplayed topic. Customers generally do not know what to imagine by that term. It is a colourless gas which smells harsh and is continuously released from furniture into the air. To illustrate the seriousness of the situation, and why we deal with this topic, the International Cancer Research Agency put it on the list of proven human carcinogenic substances in 2004. Already for 25 years, our measured values have been well within the limits, but the current results have exceeded even our expectations and we are absolutely sure that we sell literally the “healthiest furniture” on the Czech market! 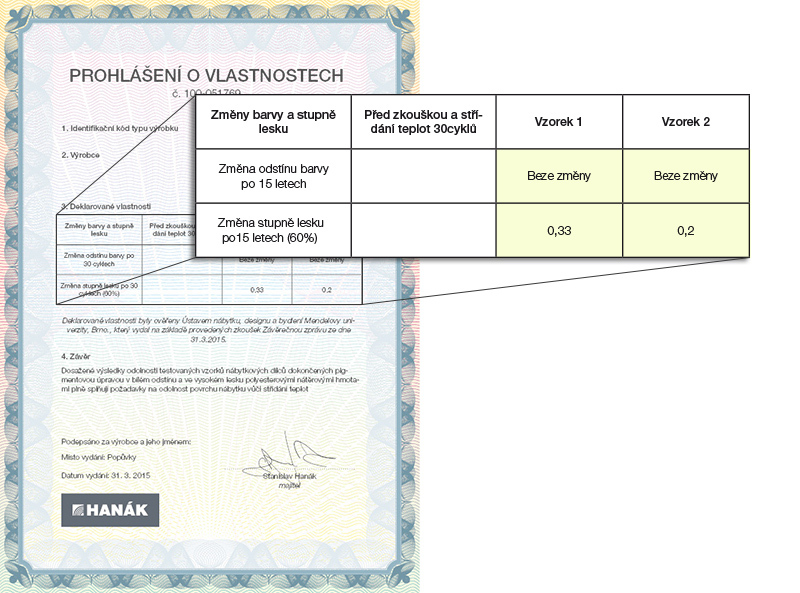 The test was performed by the Testing Institute of Light Industry in Ceske Budejovice, according to methodology No. 100607 (CSN EN 717-1). You do not buy furniture for several weeks or months, it will literally live with you for many years, therefore, please pay attention to its quality, the real quality in important parameters – only then will you see and understand the marked differences in the Czech market offer. You will thus protect your health and make the correct life investment. 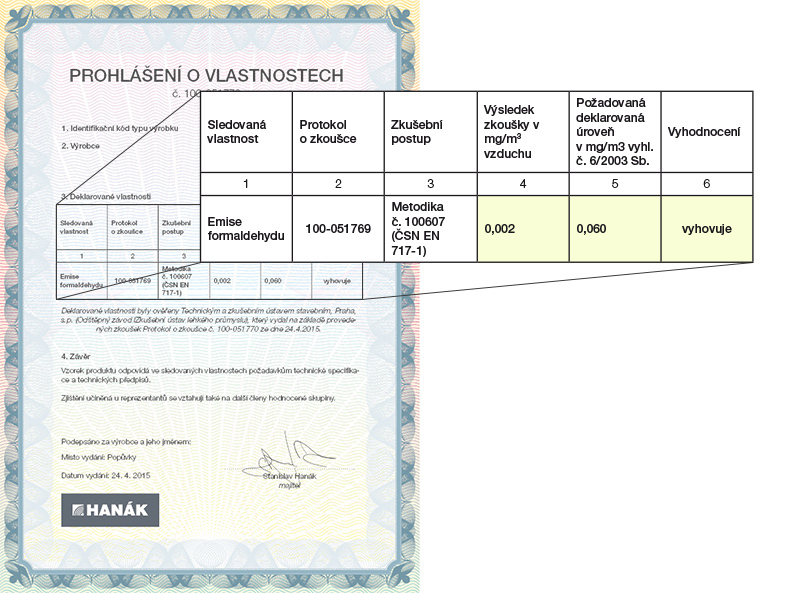 You will find detailed protocols of furniture certification and unique test results of HANAK interior doors in the section: CERTIFICATES.